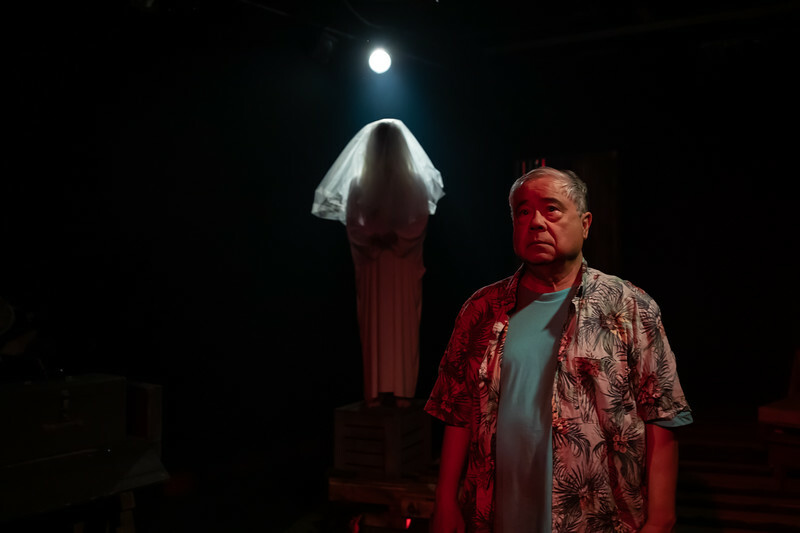 This week I got the opportunity to do press photos for the play SOUTHERNMOST, by Mary Lyon Kamitaki, directed by Jon Lawrence Rivera. 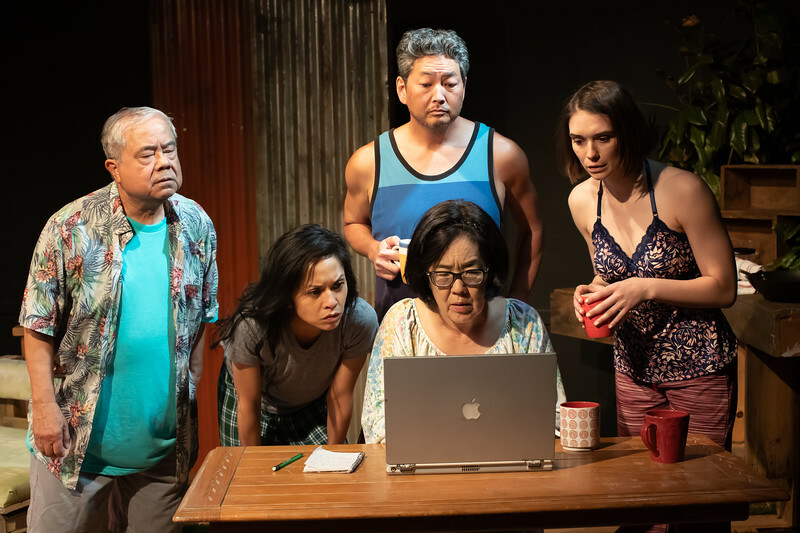 The cast includes Amielynn Abellera, Kimberly Alexander, Aaron Ikeda, Alberto Isaac, and Sharon Omi. 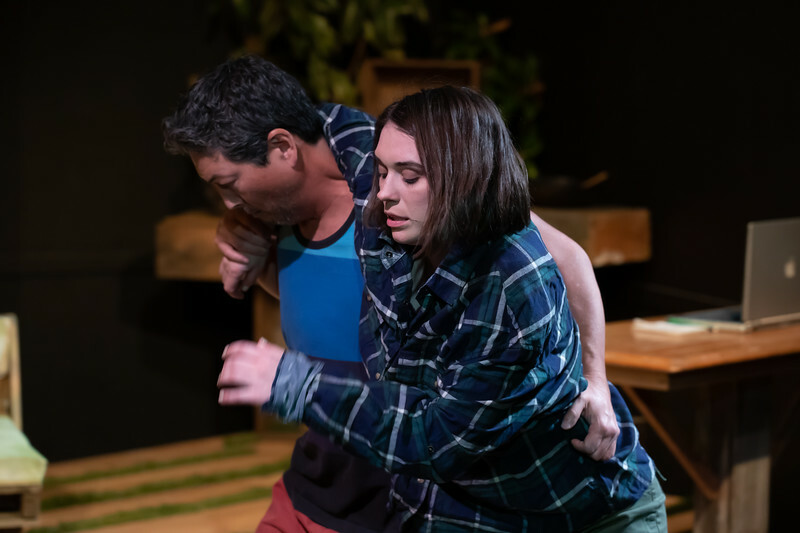 This was produced by Playwrights Arena at the Atwater Village Theatre and it's running through April 29th. 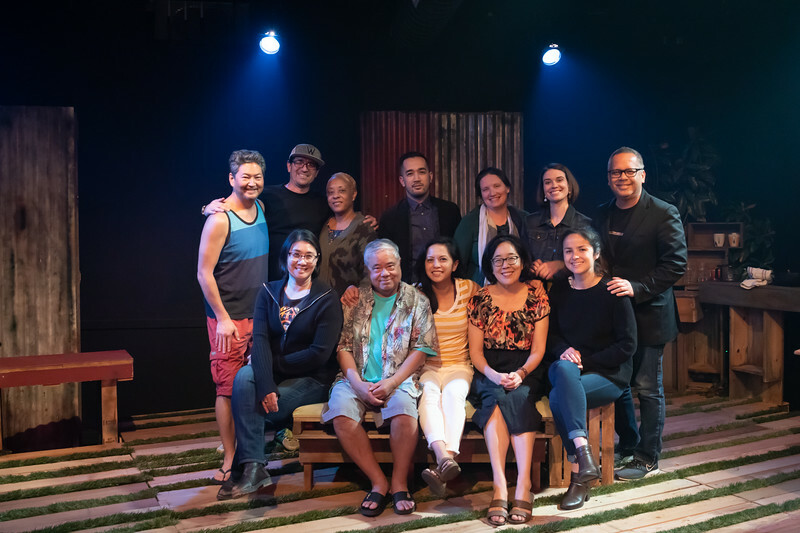 Playwrights Arena has been doing valuable work for a long time, producing the work of LA-based playwrights, and the work reflects the diversity of influences on Los Angeles. 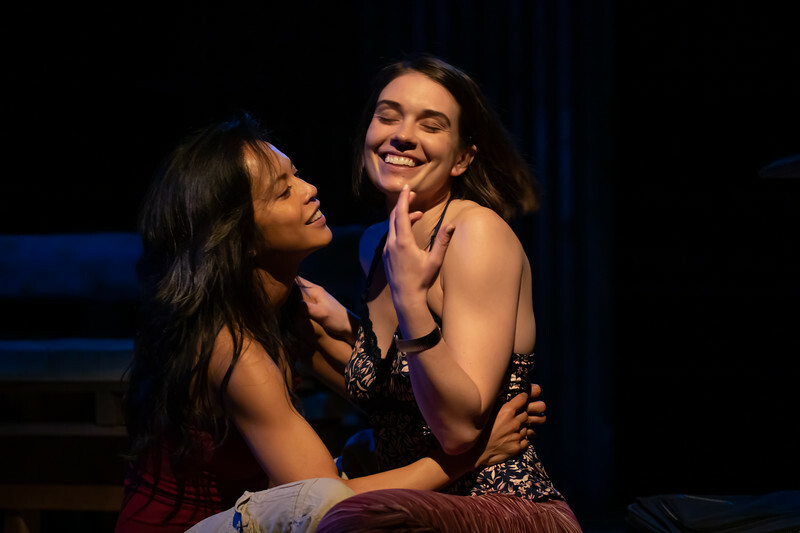 Let me just say how important that mission is; because so many artistic directors simply shop for plays in New York and reproduce them in LA. There are a lot of interesting important voices in LA, and one shouldn't have to send a play to NYC to get it done here. (Note, this has happened to me. ) 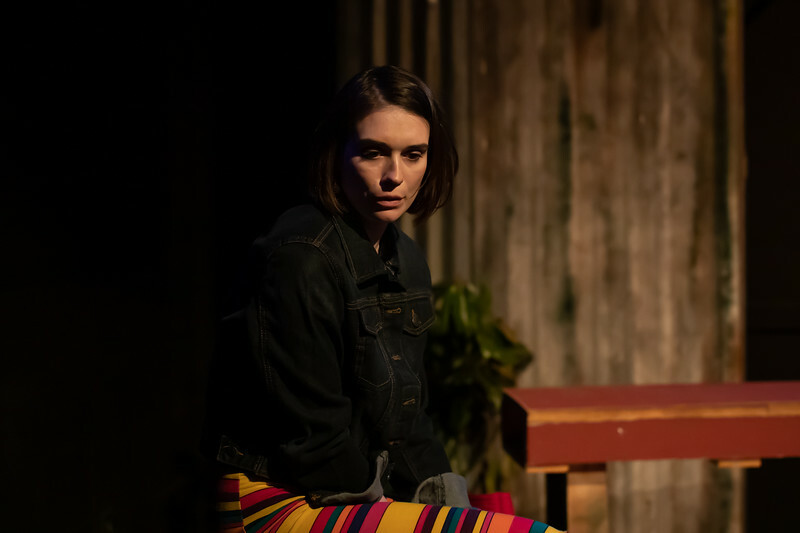 SOUTHERNMOST is a play by a savvy young writer with a great ear and keen observational skills. The characters surprise us with both their toughness and compassion, and there's a gentle humor that never leaves the characters, even as circumstances grow dire. 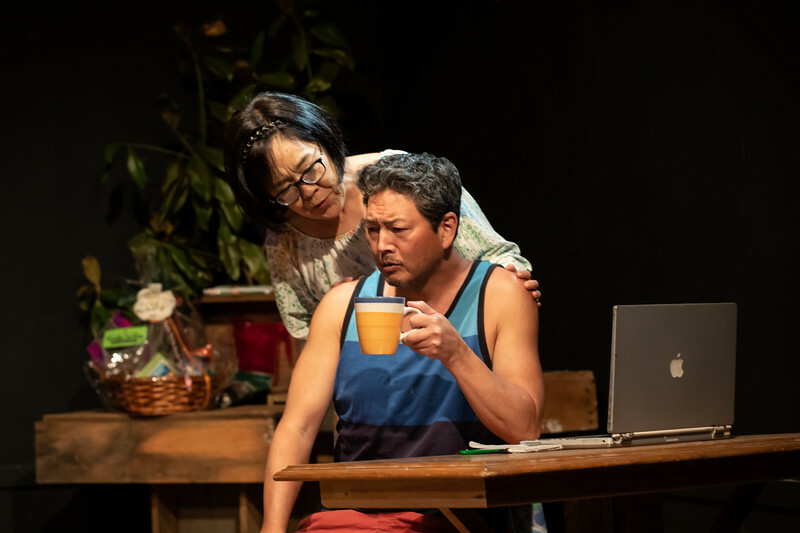 Set in Hawaii, SOUTHERNMOST shows us a family who may be forced to leave their home forever as a volcano threatens their existence. At one point the mother and father are fighting, he wants to stay, she wants to go. He's telling her not to nag him and she says "I'm trying to keep us from being burned up!" The volcano is a real threat, but it's also a metaphor for all the forces that are destroying the old ways of life. The costumes by Mylette Nora, scenic design by Justin Huen, lighting design by Lily Bartenstein, and sound design by Jesse Mandapat work along with the performances to create the world of being in a place that is the "Southernmost" everything-- beautiful, magical, but far away from the rest of the world. To belong, one also has to accept being cut off. Or does one? It's a colorful world, lot's of red tones as the sense that the lava flow may burst up from the ground. I love shooting theatre- being a playwright myself, I have always loved being in rehearsal rooms, mine or anyone else's! I love the rituals of creating a reality that will live in real time, I love seeing how the moments of a narrative come together bit by bit. Photographing theatre also has the advantage of often being beautifully lit, and this show is no exception.